Police are appealing for witnesses after a collision between a car and two pedestrians. 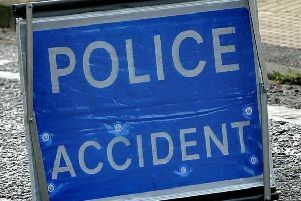 Emergency services were called to College Road in Crawley at 3.15pm on Wednesday (November 28) to the collision. A spokesman for the South East Coast Ambulance Service (SECAmb) said three ambulances and two cars were sent to the collision, which involved two teenage girls. The spokesman added: “The air ambulance also responded. “The patients were taken to East Surrey Hospital by road ambulance. “I don’t have any details about injuries, just that all were conscious and breathing. “A fourth patient was treated on scene by one of our paramedic practitioners. A spokesman for the West Sussex Fire and Rescue Service confirmed crews were sent to the scene. He said two patients were taken to hospital before crews left the scene.